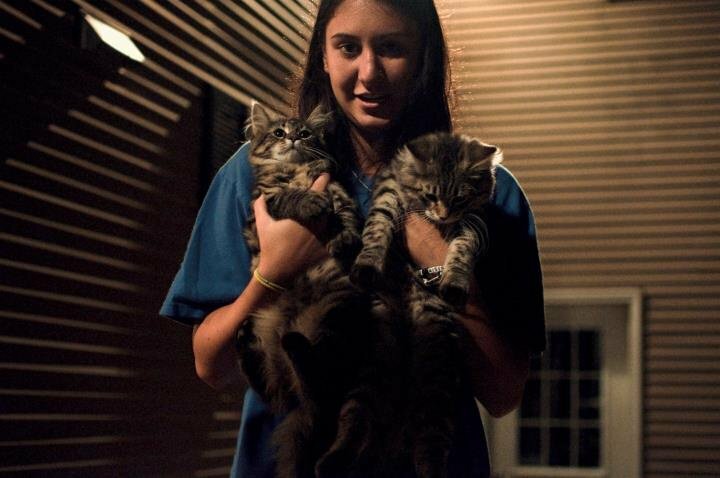 As many of you may know, I am a huge animal lover. My family has many animals that we love dearly, and I tend to surround myself with individuals who share my amour for our fellow fuzzy (or not so fuzzy) friends. I am not alone in my animal adoration; countless families all over the world open up their homes and hearts to animals, primarily dogs and cats.. which is the focus of this post, sort of. Amongst the dog and cat owners out there are the ones who like to feed their lovable companions table scraps. Although the occasional hunk of meat is not awful for your animal, many people are not aware that there is a whole host of foods that are poisonous to your pets! In an effort to save lives, I wanted to shed some light on these deadly foods. Hopefully you do already know about them, but if not… now you do, and please be sure to spread the word. ** There are, or course, many other things that can pose a toxic threat to pets, but these are commonly found in kitchens and what I dubbed the ones that could accidentally be fed to an animal with good intention. Now, if your dog or cat has a teeny tiny taste of the above mentioned foods, it does not necessarily mean certain death. Most of these foods need to be consumed in large quantities to have a deadly effect, but why risk it? Save the people food for the humans. If your beloved pet does ingest any of these foods, in any quantity, it is probably best to call your veterinarian and hear what they have to say and what steps should be taken. If you want any additional information, check out any of these links. Knowledge is most valuable when shared, so pass it on! Stay awesome, friends. I came across a recipe the other day for Strawberry Chia Seed Pudding, and I thought it sounded like a great thing to try out. Healthy, fresh AND tasty? Count me in. I also added banana to my recipe; mostly because there was a banana that was getting a bit too ripe on my counter, and I hate to see food go bad. In a blender, combine the water, hemp seeds, strawberries, banana, vanilla, sea salt and stevia. Blend for 30 seconds or until all ingredients are thoroughly combined. This will be your strawberry/banana hempseed milk. 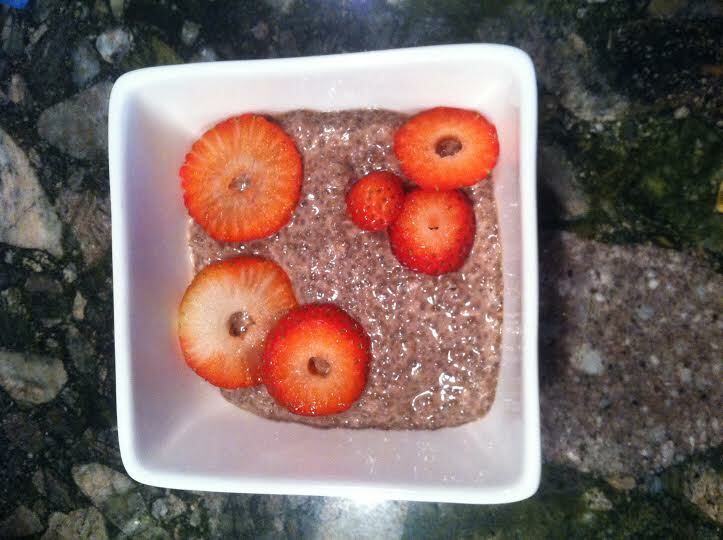 In a separate bowl, combine dry chia seeds with milk and stir! A good rule of thumb is 3 cups liquid: 1 cup chia, but I had more like 3 1/2 cups milk and it came out just fine. Fold in cacao, coconut and blueberries and let sit for 15 minutes. This will allow the chia seeds to soak up as much liquid as possible. You will notice the mixture start to thicken. Once seeds have expanded, scoop out some into a bowl, add the strawberries, coconut and other toppings you may desire and indulge! I promise you dears, it’s super simple and not as weird and gross as it may sound. The texture may take a little getting used to, but this is way better than store bought puddings as far as health is concerned. You can also always add more sweeteners like maple syrup, honey or agave to the mixture. Play around with it and see how it goes — and don’t hesitate to share and ask questions! Here’s a video I took at the Electron concert in Fort Collins, Colorado and the Aggie Theater. Electron has members from The Disco Biscuits and Lotus, so you know I loved them from the start! I have a picturesque post heading your way soon, so get excited for that. From January 10th-15th I spent some time in the lovely state of Colorado, and let me tell you… I loved it!! Everyone there is so friendly, the food and beer is delicious and local, the geography and landscape is absolutely gorgeous and the outdoor culture is huge there, which I was a huge fan of. Max and I went to stay with a friend in Boulder, but we also spent some time in Denver, Vale and Fort Collins. I didn’t take a ton of pictures, but I really like the ones I did manage to snap, so I hope you do, too. Maybe I’ll upload those tomorrow. We shall see! Anyway, before I hit ze hay, I wanted to share a really awesome article with all of you. It takes place in Istanbul (has anyone ever been here, by the way? It’s mentioned in my most recent NatGeo so obviously now I have to go), and this idea is just so amazing. I love the guy who created this, and I hope you can appreciate the good he has done. Please also be sure to click the “gallery” in the middle of the article as well. There are some fabulous ideas there that I think would be wise to be duplicated. I’ve already emailed Burlington/BCA to see if they had any interest in replicating the deposit ring. Here’s the link: CLICK ME! My boyfriends mother posted a link to an article the other day about the benefits of “rice water”, and being a naturally curious creature when it comes to heath related topics, I read the article. I’m not going to lie, it was a pretty poorly written piece on what seemed like a less-than-reliable website, but the information was there and it was interesting, so I thought I would pass it along to all of you. Now, I don’t know how accurate all of the information is, but I’m going to try it out for myself and report back. If you try this and have any results, please share! Sharing is caring, right? Right. Apparently, gaining benefits from rice water is something that has been practiced by the Chinese for a looong time (not surprising since that is such a huge portion of their diet) and it is now becoming more popular in modern western civilization. The Benefits? First, there are the health benefits. By drinking the hot rice water as you would soup, you can expect it to provide energy, prevent gastroenteritis, regulate body temperature, prevent and cure constipation and maybe even prevent cancer. Then there are the cosmetic benefits, but please make sure that you allow the water to cool down before using it on your body. You can wash your face with the rice water to soften skin, use it has a tonic replacement, apply on face to assist closed pores and even wash your hair with the water to make your hair shinier and healthier. Personally, I’m not sure how keen I am on drinking straight hot rice water, so I’m thinking it may be a good idea to turn it into a broth base for soup? Maybe add some veggies and protein and keep the rice in the mix to make it a heartier dish rather than a clear liquid to choke down unpleasantly. The great part about this rice water is that the preparation is outrageously simple; all you need is rice and water. Take the same steps you would if you were cooking the rice to eat (which you still can), but it is recommended to add more water to the pot than you normally would, so the rice could come out a bit more engorged than usual. Please note that simply rinsing off rice in water does not count as rice water; the rice needs to have released some of its useful properties into the water, meaning cooking/boiling needs to take place. … and there you have it! I think I’m going to give the cosmetics aspect a shot first, then create a [hopefully] tasty soup using the rice water for the health benefits. Have a great day everyone, and do your best to stay warm!